Some of the world's largest makers of consumer electronics are facing a new round of financial uncertainty thanks to a currency crisis that threatens to send their cash flow plummeting. 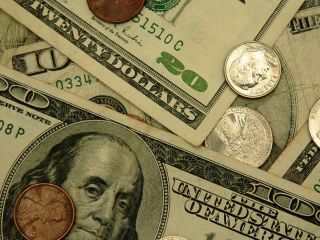 The likes of Sony, Panasonic and others are trembling amid aftershocks from the Japanese yen's sudden appreciation against other currencies, notably the US dollar. A sudden surge in value saw the yen trading yesterday at a 14-year high of ¥84 to the dollar. The upshot of which is that each product the Japanese giants sell outside their home country brings in far less cash than expected. That's a problem as companies like Sony currently rely on overseas sales for more than 70 per cent of their income. Many companies had been operating on the basis that the yen would be worth closer to ¥90 or ¥95 to the dollar. To put the sometimes abstract currency fluctuations into perspective, a one yen appreciation costs the Japanese gadget makers close to ¥32 billion (£225 million) a year. One hedge fund CEO painted a stark picture for the future of such firms: "We're at a breaking point. There's a point beyond which businesses don't work." Unless the situation changes, drastic steps could be needed – potentially bad news for both consumers and staff at firms like Sony and Panasonic, which have already shed close to 50,000 jobs in just over a year.